Rachel Kushner‘s second novel The Flamethrowers is set in the New York art world of the ’70s. It’s a milieu ripe for someone with the L.A.-based novelist’s talent and obvious passion for visual art. Following the interview, she asked if she could see the quotes I’d be using. What follows is a transcript with a little polishing from Ms. Kushner, who is at this year’s Vancouver Writers Festival. Shawn Conner: You’re also very interested in the visual art world as well as the literary world. Would you say they’re equal interests for you? Rachel Kushner: Not really. I’m a novelist. That’s what I do. My interests are mostly bounded by that. Novels are about the world. The world goes into them, but mediated through the internal logic of the structure you build. I would say I’m dedicated to that totally. That said, I’m interested in the world. In the case of this book, I wrote about the art world, which I know pretty well. And I’ve written pieces of art criticism when I’m working on a book and ready to take a break. RK: Well, I don’t want to sound ungenerous. I was talking to Laura Owens, who is an artist, so it was kind of a conversation between two people who know that world. Every novelist wants to feel like they can travel and enter different territories, and learn about things and write about them. With contemporary art, it’s a very specific subculture in a way. At least the sociological aspects of it – the discourse and social codes. For people who don’t really circulate in that world, there is sometimes a sort of Emperor’s New Clothes suspicion – like the old saw, My child could paint that, or These people are wacky. Maybe you don’t see that as much anymore. I didn’t mean to criticize anyone else’s attempt to write about the art world. Some people have done it pretty well. But maybe not that often. SC: Isn’t there an element of the Emperor’s New Clothes in the contemporary art world? RK: No. I think that’s a simplistic way of looking at things. It’s a totally different kind of logic than writing a novel. You can’t really hide in a novel. It is going to give a reader a big experience of what it’s like to be inside of your mind. A work of art is not like that at all. It can be a very slight gesture with meaning that goes beyond or outside of language. When it’s good, it’s fantastic. James Turrell just had two major retrospectives, and it’s very profound work. But you have to be open to it. I think the emperor’s new clothes thing comes up for people who are outside the discourse, and maybe a little bit threatened by it. It’s not always an inclusive experience going to a museum. SC: What was the impetus behind The Flamethrowers? The character or the art she makes? RK: It wasn’t really either one of those. I wanted to write a book that was set in the downtown art world in New York City in the early or mid-1970s. I just thought it would be a really great setting for something. I was thinking about New York in the ’70s. SC: Part of your research was going to Italy? RK: I didn’t really do much research. I did go to Italy. But I was going to Italy in the natural course of my life. My husband has friends in Italy, as do I. We know people who are very knowledgeable about very far left politics in Italy in the 1970s, and I was spending a lot of time talking to these people. And I was at a point where I’d accrued a fair amount of knowledge about that history, so that I decided to write about it. I encountered it in a natural way, and it was contemporaneous with the art scene in New York and there were some obvious connections between the two. People I knew in the art world in Italy all had something to say about autonomous politics and actions and theories of the 1970s. SC: One of the characters in The Flamethrowers, Giddle, says the three most cowardly acts are fame-seeking, ambition and suicide. I was wondering where that came from? RK: Who knows? You know that stationary that says, “from the desk of so-and-so”? It just came from the desk of Rachel Kushner. It wasn’t lifted from somewhere. On occasion, I do do that. For instance, my character Stanley Kastle says, “The three passions are love, hate and ignorance, and ignorance is the strongest,” which is from the lectures of Jacques Lacan, and maybe funnier or more amusing or something if you recognize the source. But that “three most cowardly acts” thing is just Giddle the character. 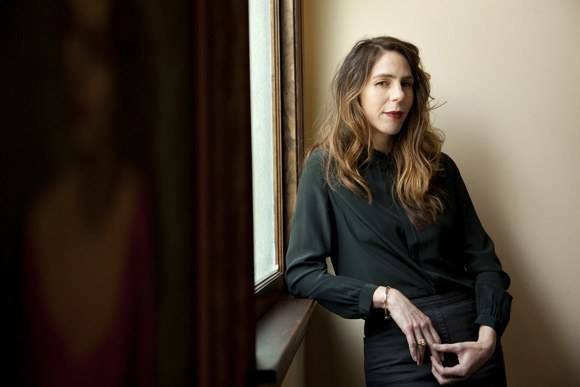 This entry was posted in interviews and tagged American novelists, American writers, authors, contemporary American fiction, contemporary fiction, novels, Rachel Kushner, Vancouver Writers Festival. Bookmark the permalink.